Neurodiagnostics Institute, llc was founded by Dr. Dishman in 1999 in response to a void in post-graduate medical education in the discipline of electrodiagnostic medicine. NDXI was one of the pioneers in high quality training programs in edx for non-resident physicians. The program was initially designed for non-neuologist and non-physiatrist M.D./D.O providers. Subsequently, the program has expanded to include D.C., D.P.M. and D.P.T. practitioners. At present, our courses have a mix of various providers but the majority of our students continues to be D.C.s. NDXI was later renamed Clinical Neurosciences Institute, llc to more accurately reflect the broad clinical neuroscience curriculum and programs currently offered. Dr. Dishman has taught electrodiagnostics for over twenty years to physicians throughout the US. In addition to the Doctor of Chiropractic Medicine degree, he was awarded a Master of Science degree in Neurophysiology from the renown Institute for Sensory Research of Syracuse University where he studied for seven years under world renown neurophysiologist, Dr. Stanislov Bolanowski. In addition, he is a Diplomate and Fellow of the International Academy of Chiropractic Neurology. He also holds the titles of Diplomate and Fellow of the International Board of Electrodiagnosis. Currently, he serves as President of the International Academy of Chiropractic Neurology. Dr. Dishman was the founding Chairman of the International Board of Electrodiagnosis and continues to serve as edx advisor to the International Board of Chiropractic Specialties. He served as Professor of Anatomy and Director of Research at Palmer College of Chiropractic Florida for 15 years. Dr. Dishman was also a Professor at New York Chiropractic College for over 14 years, where he taught courses in clinical neuroscience, anatomy and the profession’s first electrodiagnostics course for chiropractic students. 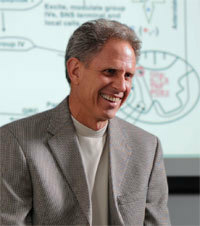 He is also an Adjunct Associate Professor of Bioengineering and Neuroscience at Syracuse University. He currently is Dean of Graduate Porgrams at Parker University. 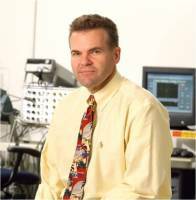 Dr. Dishman's research efforts have yielded publications in many prestigious international journals such as Journal of Neuroscience Methods, Spine, Journal of Manipulative and Physiological Therapeutics, and Electromyography and Clinical Neurophysiology. He was awarded the prestigious “Scott Haldeman Award” for best original research paper at the Sixth Biennial Congress of the World Federation of Chiropractic in Paris, France. He is a past and current research grant recipient from the Foundation for Chiropractic Education and Research, as well as the Center for Complimentary and Alternative Medicine of the National Institutes of Health. Dr. Dishman is a seasoned and highly experienced educator. He states that out of all of his professional pursuits, he is most proud of his accomplishments as an educator. He takes pride in being known as a Professor who "can take a complex subject like clinical neurophysiology and make it understandable and enjoyable". He currently serves as Director and Education and Research at CNI. When not working, Dr. Dishman enjoys time with his wife Kristina, and their children, Eva and Maximilian. When time permits he enjoys collecting and racing vintage sports cars and motorcycles. 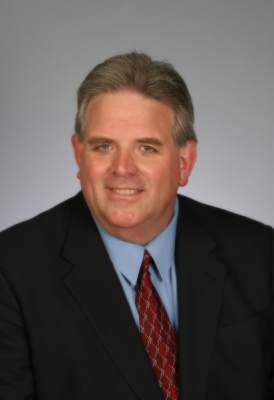 Dr. Smith is the President of General Diagnostic Associates in Buffalo, NY. While directing the growth of General Diagnostic Associates, Dr. Smith also maintains a private practice, Clinton Square Chiropractic, located in Elma, NY. Dr. Smith has extensive experience in the performance and interpretation of nerve conduction studies, evoked potentials, and needle electromyography. He earned his Doctor of Chiropractic Medicine degree from New York Chiropractic College in Seneca Falls, NY. 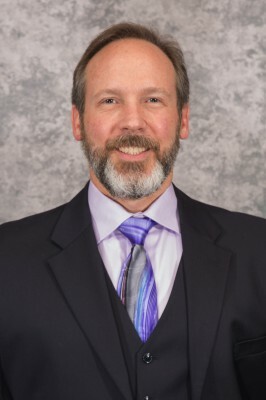 As a faculty member of Clinical Neurosciences Institute, LLC, Dr. Smith teaches neurophysiological techniques across the country to other practicing physicisians at the post-graduate and continuing medical education level. Dr. Smith teaches modules on uncommon motor and sensory studies as well as hands-on practicums in NCS and needle electromyography for Neurodiagnostics Institute. Dr. Smith is also a former U.S. Army Medic, and was a paratrooper with the elite 82nd Airborne Division. Currently, Dr. Smith is a co-investigator on a multi-center research study on the sensitivity of various digits in carpal tunnel syndrome patients. Dr. Smith is also is a participant in a research project involving the blink reflex technique. Darek W. Stanfield, D.C., C.N.I.M. Dr. Seaman is a Professor of Clinical Sciences at the NUHS Florida site in Pinellas Park, where he teaches evaluation and management courses for the musculoskeletal, cardiorespiratory, gastrointestinal and genitorurinary systems. He is also a faculty member for National's Masters of Science program in Advanced Clinical Practice. Dr. Seaman is a graduate of Rutgers University and New York Chiropractic College. He then received a Masters degree in Nutrition from the University of Bridgeport and a diplomate in neurology through Logan College of Chiropractic. Dr. Seaman has authored a book on clinical nutrition for pain and inflammation, and has written several chapters and articles on this topic. His academic and clinical interest is focussed on how pain and symptom/disease expression can be modulated with lifestyle choices and manual/rehabilitative interventions. His teaching duties for CNI involve modules in the Neurology Diplomate program. Dr. Seaman teaches modules in the subjects of pain and sensory systems, as well as inflammation and its effects on the nervous system. 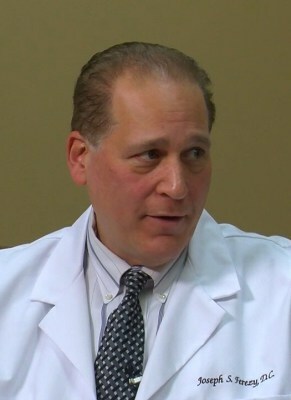 Dr. Ferezy is a native of New York City. He is a graduate of Northwestern University of Health Sciences, where he received the Doctor of Chiropractic Medicine degree. Dr. Ferezy later served as an instructor, and ultimately as an assistant professor at NWHSU. Dr. Ferezy is a Diplomate of the American Chiropractic Academy of Neurology and a Fellow of the International Academy of Chiropractic Neurology. He is author of the textbook, “The Chiropractic Neurological Examination” by Aspen Publishers. Dr. Ferezy teaches modules in the CNI Neurology Diplomate program on the topics of the neurologic examination and cerebrovascular disease. Dr. Scott Surasky received his bachelor’s degree from the New York Institute of Technology. He attended the New York Chiropractic College and received his Doctor of Chiropractic degree from this institution. He served his internship at the New York Chiropractic College Outpatient Facility in Levittown, N.Y., where he was awarded Clinician of the Year. Dr. Scott Surasky’s primary focus is the diagnosis and management of neck pain, back pain and headache. 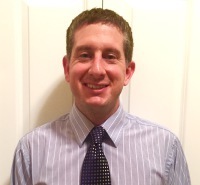 He is a board certified chiropractic neurologist and has a special interest in electrodiagnostics. He is a frequent lecturer on the subject of diagnosis and treatment of spine disease. He holds an academic appointment in Clinical Sciences at the New York Chiropractic College, Center for Post Graduate and Continuing Education. He maintains hospital staff privileges in the Department of Orthopedic Surgery at North Shore University Hospital of Glen Cove. A major portion of his practice is devoted to consulting on difficult and unusual cases for other physicians, surgeons and chiropractors. Dr. Surasky teaches modules in the CNI Chiropractic Neurology Diplomate program in the areas of headache and spine disorders. Dr. Hall performs evaluations and management of patients with complex neurological disorders from all over the world. He has oordinated a team approach to the application of innovative and technological procedures utilized in the treatment of neurological cases such as TBI, Concussion, Dysautonomia, Parkinson’s, autoimmune deficiencies, and more. Dr. Hall's teaching experience is significant and vast. He has taught clinical neurology continuing education courses around the world. He has maintained a full time private chiropractic neurology practice for over thirty years. Dr. Hall teaches functional neurology and rehabilitation modules in our neurology diplomate program. Dr. Albers is a highly seasoned and respected radiologist. He is a former Professor of Radiology at Northwestern University of Health Sciences in Minnesota. He is a practicing radiologist in Apple Valley, Minnesota where he specializes in neuroradiology and MRI of the brain and spinal cord. 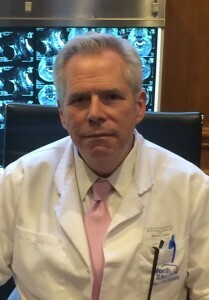 Dr. Albers teaches CNI courses in neuroradiology. Dr Choi is a board certified radiologist and Assistant Professor of Radiology at Palmer College of Chiropractic Florida. 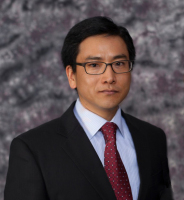 In addition, Dr. Choi teaches diagnostic imaging courses at the CNI and has a special interest in advanced imaging modalities. Dr. Longyear is Clinical Director of the Life University Functional Neurology Center known as NeuroLife Institute, in Marietta, Georgia. Dr. Longyear brings this clinical persective to CNI programs that he teaches. 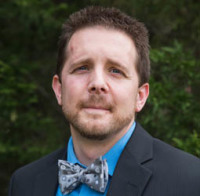 He currently teaches case-based functional neurology modules in our chiropractic neurology diplomate program.